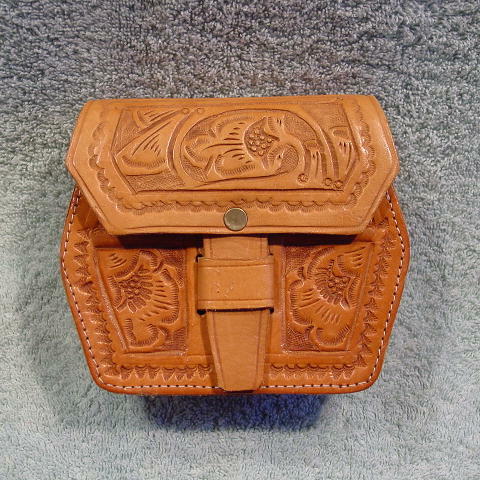 This vintage little tan leather purse has tooling on the front (below the flap), the front and top of the flap, and the back. 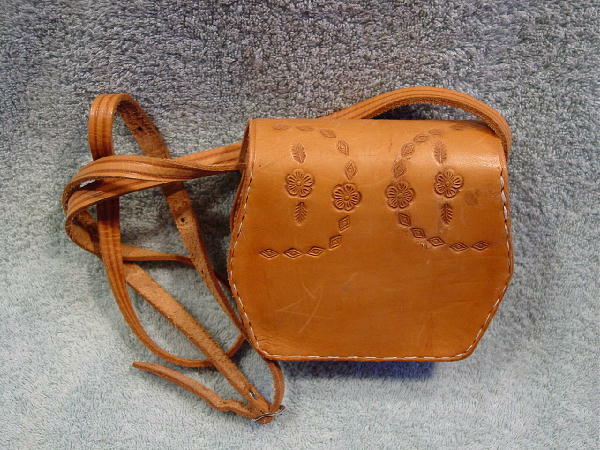 It has a front tab insert closure and 49" long eight-hole shoulder strap. It has white side stitching. It has a few scuff marks and water spots on the upper back. It belonged to an Arizona model.